Interest – The main component of why vehicle graphics work is stunning, attention-grabbing graphics. 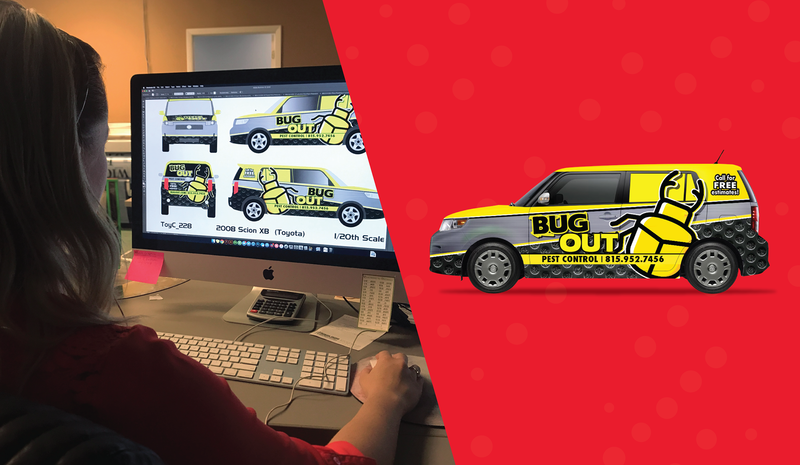 To get the most out of your vehicle, you ultimately want unique, colorful graphics that will captivate your audience and create interest in your company. While attractive and loud is the goal, you also want to reinforce the previous point of simplicity. Simple textures get the point across without being overly distracting. Avoiding real photos (especially collages) refrains from giving your audience a sensory overload. Keeping it attractive but calm will surely impress but get your point across in a professional manner. 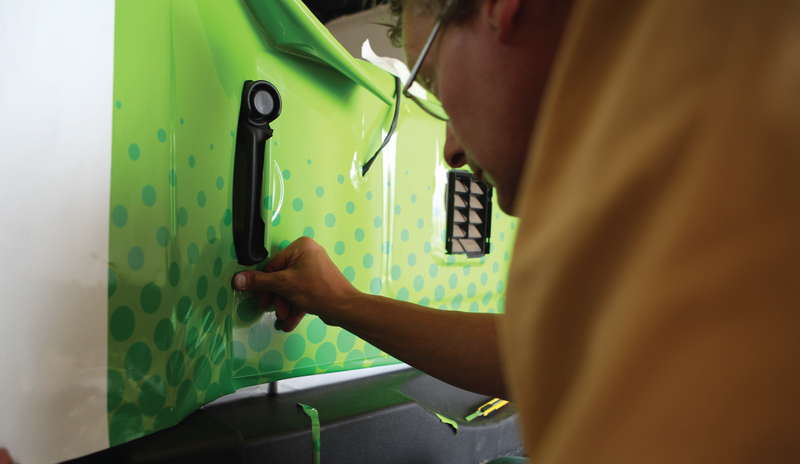 Budget – While vehicle graphics are a great investment, they are in fact just that: an investment. The more graphics you put onto your vehicle, the pricier it can tend to get. A customer’s vehicle and budget are a major consideration to keep in mind when designing vehicle graphics. Cutting corners is not the message here, but at the end of the day a partial wrap could be much cheaper and even look much better. A simpler, cleaner look can get the point across with a greater effect but half the strain on you or your customer’s wallet. Branding – There’s pertinent branding information you should be conveying through your vehicle graphics. A few of the major items are your logo, website, phone number, tag lines if you have any, and address if necessary. The overall goal is to make sure your audience comprehends both what your business does and how to contact you quickly, without overloading them. Simplicity – With a vehicle, you may only have a short amount of time to actually digest a good amount of the information in your graphics. This is where a “less is more” concept comes into play. 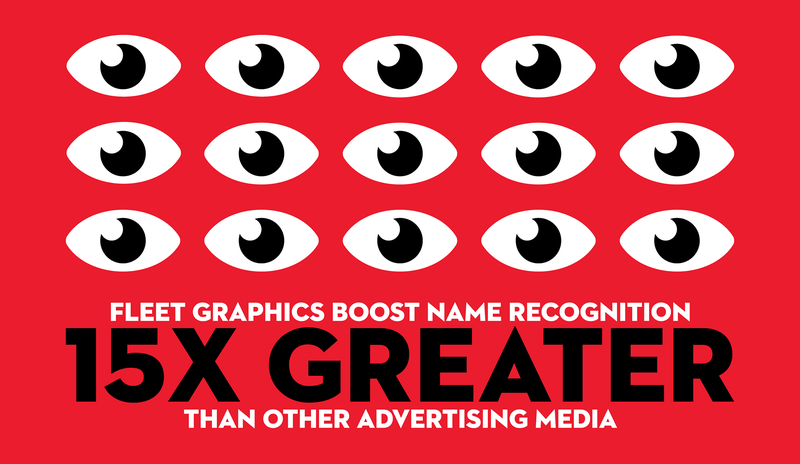 The simpler your graphics are, the better. You can achieve that simplicity by limiting your amount of text. Don't make the customer search for that previously mentioned branding information like your logo or phone number. And for the copy you do include, use easy to read fonts with colors that aren’t competing for the viewer’s attention. 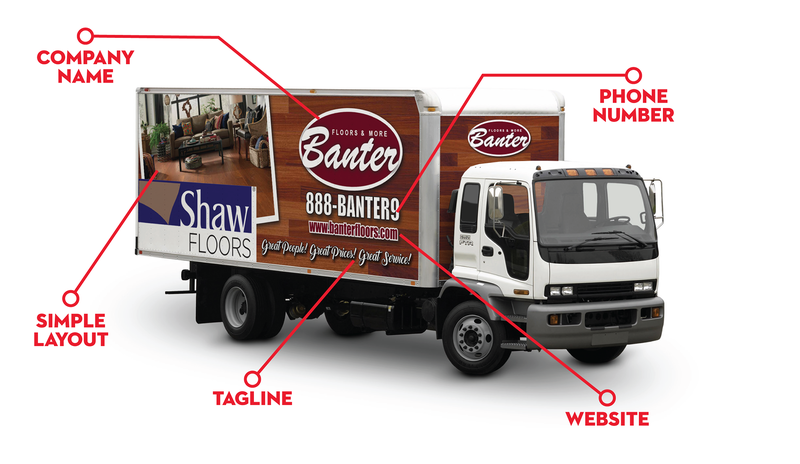 Placement – Placement of your company’s information is key when it comes to putting graphics on a vehicle. If text is small or potentially hard to read, avoid placing it near seams/cracks, like on a vehicle’s doors or windows. It’s also best to avoid placement near door handles. If doors open, make sure text and images don't look bad or inappropriate when doors are in use. Graphics should look continuous with smooth transitions across all sides, representing your company’s professionalism. Materials – Not all materials are created equal. Whether you’re caught in a rainstorm or simply cruising the expressway for your commute to the office, you want to ensure that your graphics stay put as well as retain their quality for as long as possible. Using top-quality vinyl will be the answer. Our team strictly uses high-quality, cast vinyl that will refrain from peeling, shrinking or cracking as long as possible. We also make sure we pair any film laminates we use to the vinyl they’re applied to, so it’s always a match made in heaven. Finally, premium vinyl has air release channels, which means the material is specially formulated to better release air pockets, making bubbles a thing of the past. Your graphics will be looking as smooth as you do. It’s hard to argue with the facts: vehicle graphics are an effective way of advertising your company and a valuable investment for building company awareness. If you’re making the investment, make sure it’s worth it by taking extra consideration in your graphics so that they’re working as hard as you do. Our specialists are expertly trained in both creating graphics and wrapping, so when you’re ready to make the investment give the Roeda team a call.